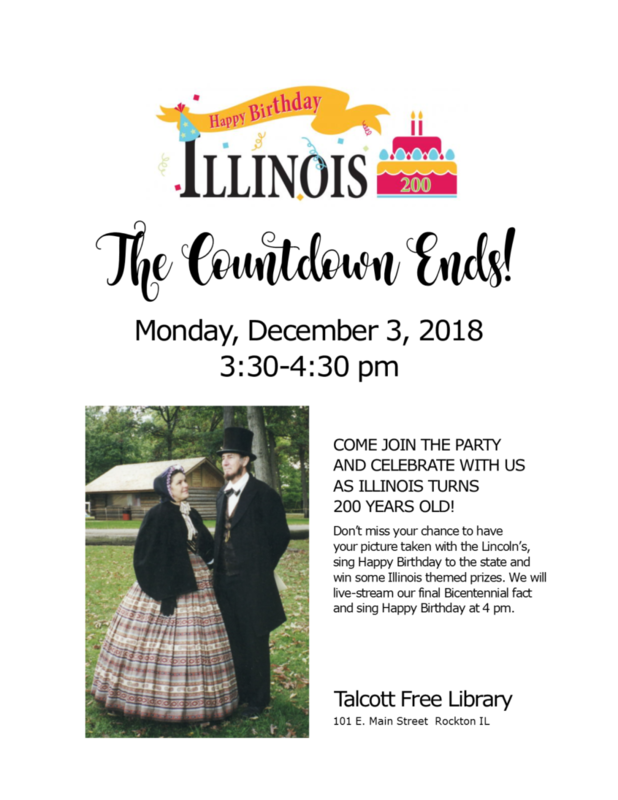 Monday, December 3, 2018 3:30-4:30pm Come join the party and celebrate with us as Illinois turns 200 years old! 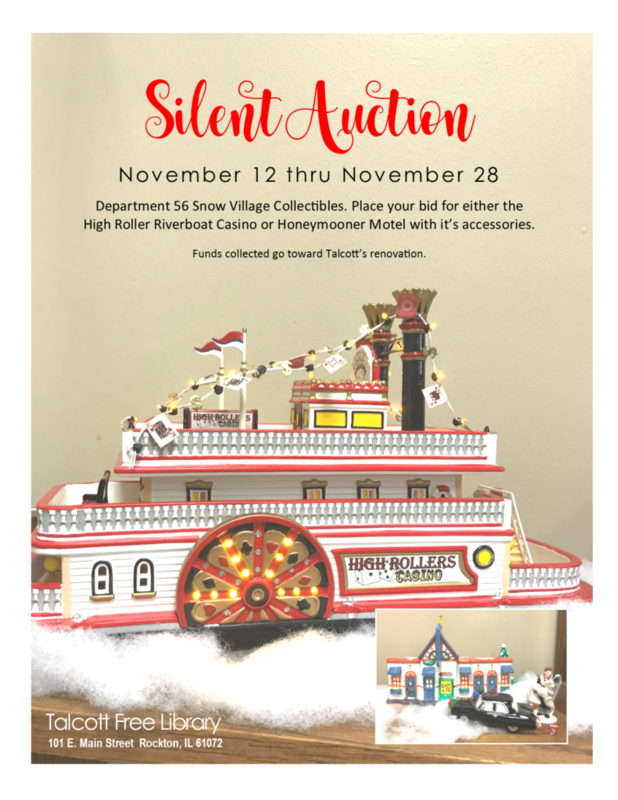 Don’t miss your chance to mingle with the Lincoln’s, sing Happy Birthday to the state, and win some Illinois themed prizes. We will live-stream our final Bicentennial fact and sing Happy Birthday at 4pm. 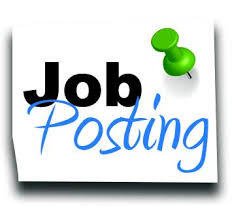 Part-Time Job Posting: Page 1 evening/week, 1 Saturday/month Click here to view job description All applications must be turned in by Monday, November 26th. 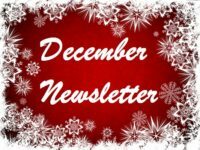 Satisfy Your Need to Read! 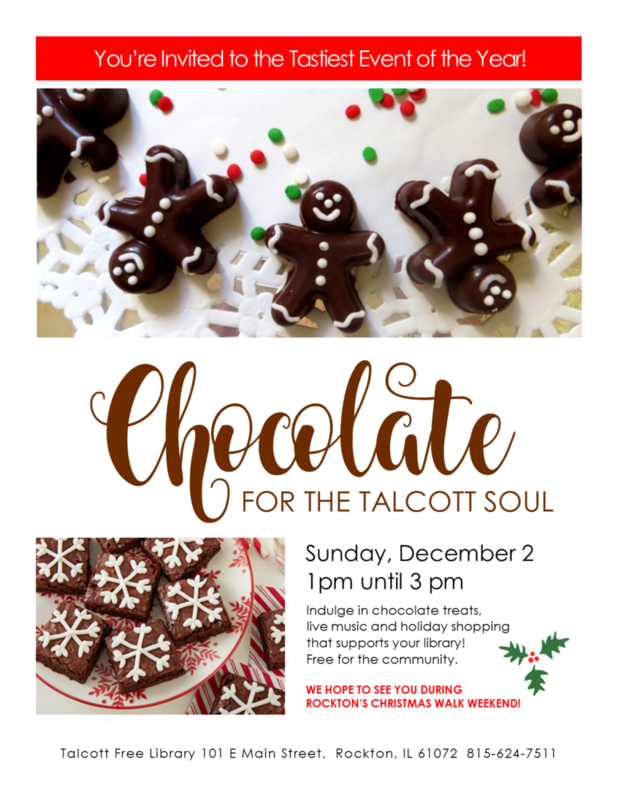 CHOCOLATE FOR THE TALCOTT SOUL Sunday, December 2 1pm until 3 pm WE HOPE TO SEE YOU DURING ROCKTON’S CHRISTMAS WALK WEEKEND! 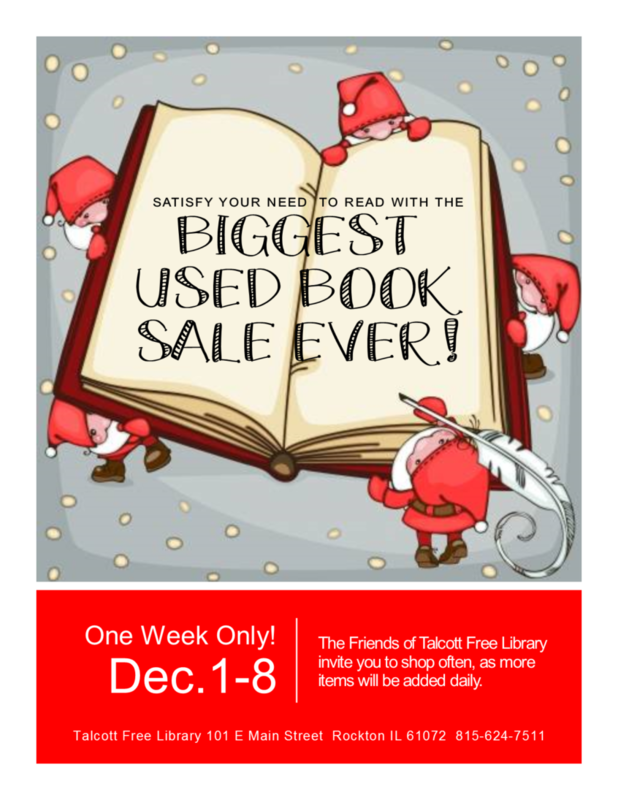 Talcott Free Library 101 E Main Street, Rockton, IL 61072 815-624-7511 Indulge in chocolate treats, live music and holiday shopping that supports your library! 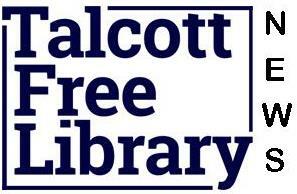 Free for the community. The Best Gift of all for Christmas. 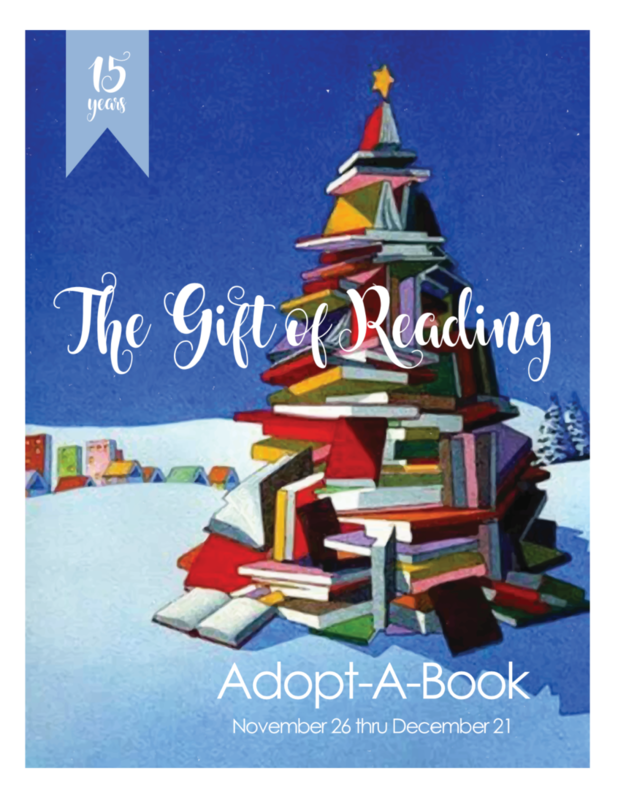 Adopt a Book in your Children’s name, or in Memory of someone special. 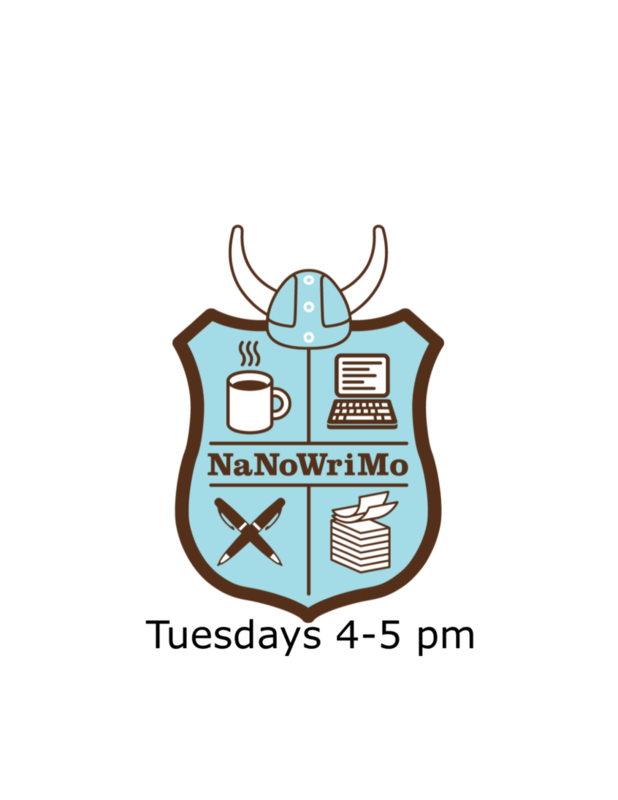 Tuesdays 4-5 pm It’s National Novel Writing Month and we’re hosting a mini write-in for teens every week this month! Bring your computers, ideas, and friends. 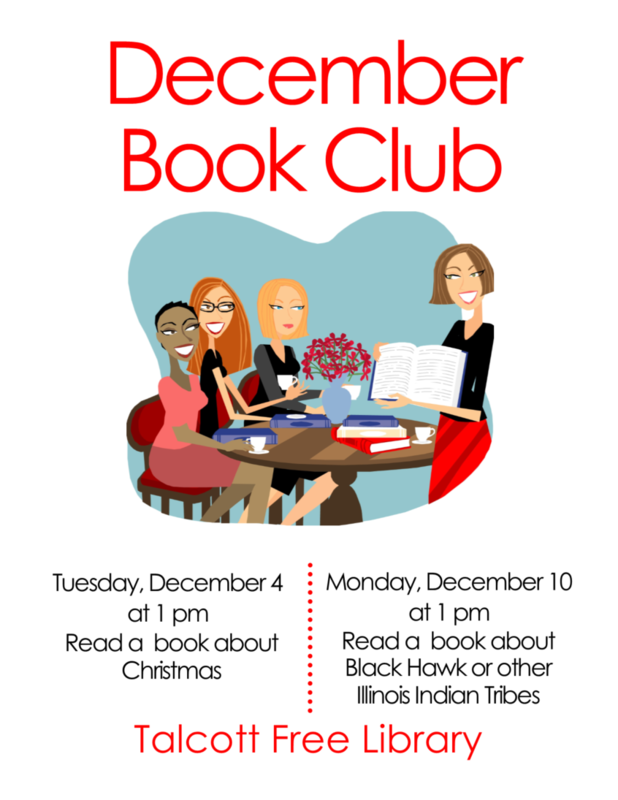 Spend an hour getting your 1,667 words in with other teen writers. Open to ages 12-19.